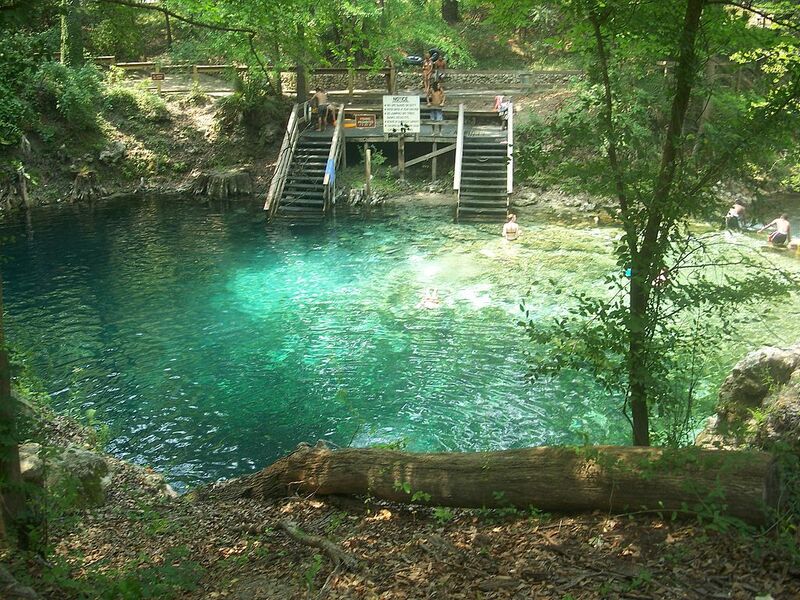 The springs in Florida are some of the most unique, beautiful places in North America. Water bursting silently out of the earth to form pools that remain at a consistent 72 degrees (approximately) all year long. These pools are wonderful little examples of heaven on earth. And most of them are close or fairly close to Orlando, where I live and where Travel Country makes its home. The following are my top 5 springs to visit and why I think so. If you haven’t checked any springs out yet, give them a try! They are truly excellent. 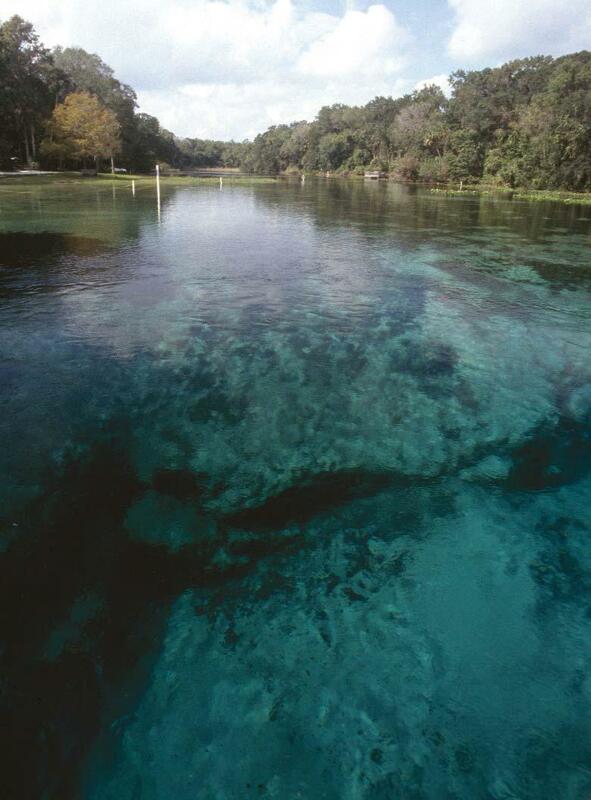 A jaunt into the southern boundaries of the Ocala National Forest leads to Alexander Springs State Park. It’s a lovely place that houses a quiet spring with a large pool that’s great for scuba diving or just sun bathing while in the cool waters. Near seemingly-endless trails in the woods, this is a great spot to go if you’re looking to get away for a couple days and want springs to be a part of that. One of the most idyllic springs, you can walk down into the water and walk up stream to get to the springs. The walk up is like wading through crystal-clear liquid glass. Such is the calming affect of the cool aqua waters. And then, when you finally arrive at the pool, it has high banks on the sides with even taller trees standing guard over the pool, shading bathers from the intense sun on really hot days. Diving underwater is overwhelming, too, with a great cataract wrent in the ground under the surface, with an old, long-dead tree wedged in the opening. The whole experience is quite lovely. Refreshing. Springs + pancakes. 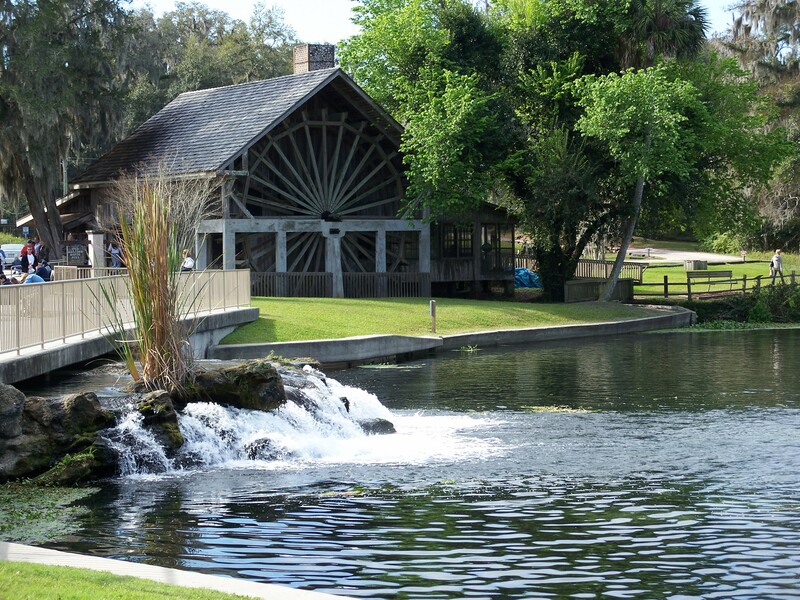 If you haven’t heard of these springs and the old sugar mill, you haven’t been hanging around the right people. These are an excellent place to launch some kayaks, swim in the spring water, and—of course—grab a seat at the Old Spanish Sugar Mill Grill and Griddle House to cook your own pancakes. This is a good place to go to if you’re looking for a glimpse of what Florida was like for some settlers years ago. 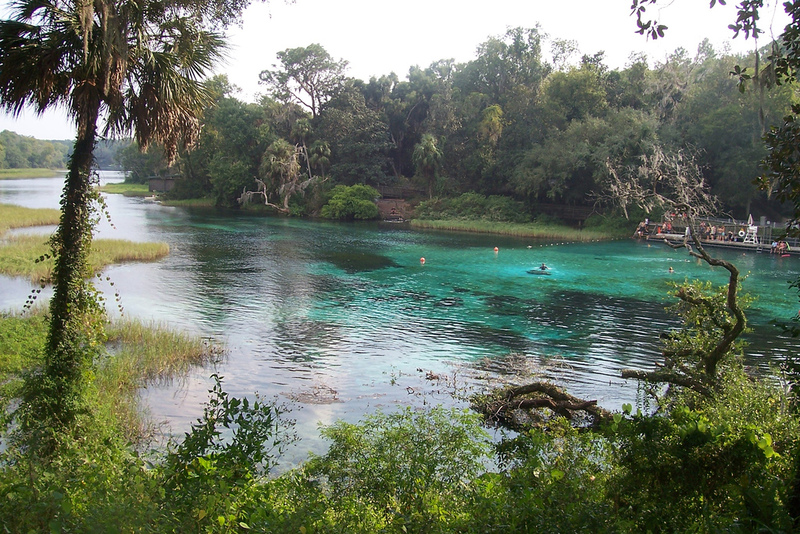 If you’re looking for the springs that looks the most like an elaborate multi-colored painting, this is the place for you. The vivid colors in and around the water demand to be seen. I’d like to sit here for days. Maybe, in fact, make my home here if other circumstances permitted There’s also a strong enough flow from the springs to create a river that runs throughout the countryside. It’s such a naturally nice trip that it’s common to float the river in tubes, slowly pushing on in the dappled shade. Jumping from trees and ropes. 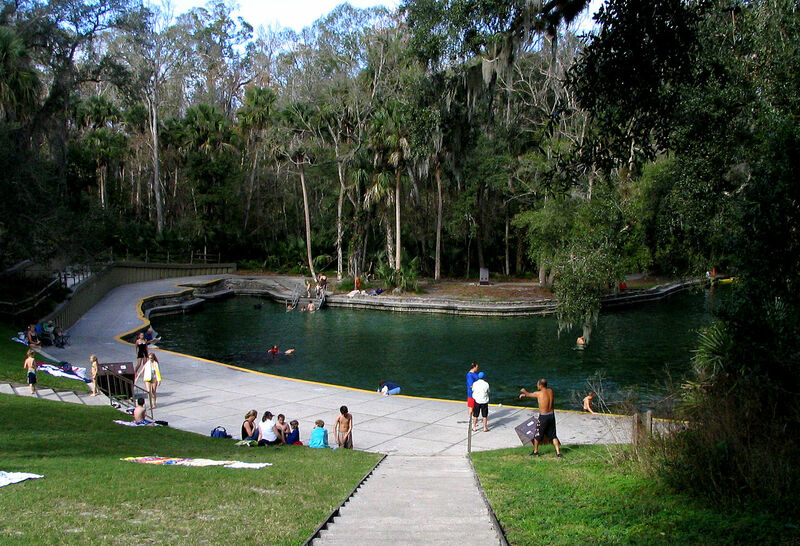 THE Orlando springs. In part because they’re so close to Orlando, in part because the state park surrounding them is so beautiful. There are so many different things to do at Wekiva. Swim, camp, go on a lovely hike, rent canoes to tour the various waterways. And on and on. There’s something special to me about the place being close enough to where I live but that it still feels so remote. My favorite thing to do there is go for a long barefoot run through the differing Florida ecosystems and end it with a cool dip in the springs.